Memorable – And Meaningful – One Yet! Looking for a theme for your next Vacation Bible School? Look no further. We’ve got the perfect one for you! Picture this: pirates, an angel, and a message that all real treasure maps lead to Jesus Christ. Your kids will be entertained, they will be excited to come to VBS everyday and, most importantly, they will get to know God better and draw closer to Him. 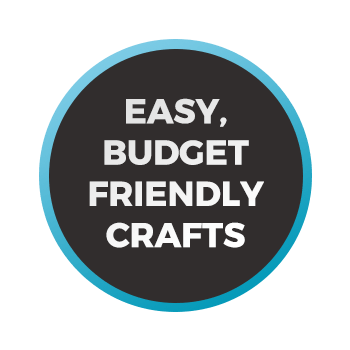 Well, how about this – this entire program is also very budget friendly! Outside of a few items found in a craft store, such as colored paper and wiggle eyes, everything needed for props, lessons, crafts and games can be found in the average Sunday school supply closet or in just about anyone’s garage. You know what this means – while other churches may be spending thousands, you can provide a real VBS treasure at a fraction of the cost! Here at TeachSundaySchool.com we know just how difficult and frustrating it can be trying to plan out your church’s Vacation Bible School. You want kids to be entertained while at the same time gaining a better understanding of God and to make things even more difficult most of the time you are operating on a pretty limited budget. That’s why we’ve created The Great Treasure Hunt VBS Program. This program includes lively and funny dramas, hands-on object lessons, zany games, and easy crafts – in short everything you need to make kids eager to come to your church each day. They’ll have hours of fun pursuing clues, designing treasure maps and chests, singing swarthy songs, until ultimately realizing the truth -- All real treasure maps lead to Christ! The lessons are designed for kids ages 4-11. And if your church has mixed age groups, it’s no problem! All kids will be entertained with The Great Treasure Hunt. 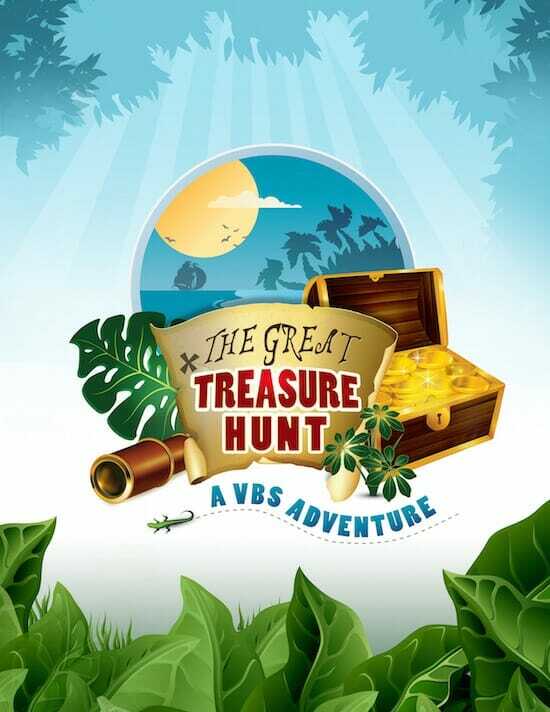 If you’ve never planned a VBS before, or if you have and you’re looking for a better, easier way, then the Great Treasure Hunt is ideal for you. This program gets rid of all the planning nightmares and frustrating trial and error that always seem to accompany any VBS and gives you everything you need in one simple, easy-to-use program. You won’t have to cut corners and you won’t have to come up with something on your own at the last minute because a program element is too difficult or expensive or simply doesn’t work. Everything in this program is easy to do and proven effective. You get a schedule to follow and all the elements you’ll need to fill that schedule with fun and excitement. A daily script is provided so that Pirate Pete, Truly Bell, Teacher Mary, and several children will know exactly what to say and when. Plus, no scenery is necessary for the stage area! 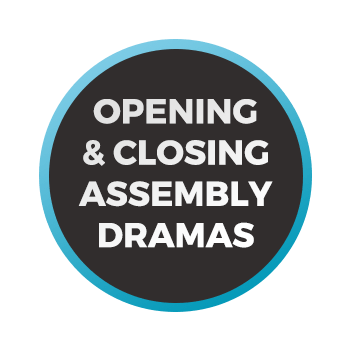 Traditionally, adult actors spend time going over their lines for the closing and the next day’s opening assembly while the kids are in class. 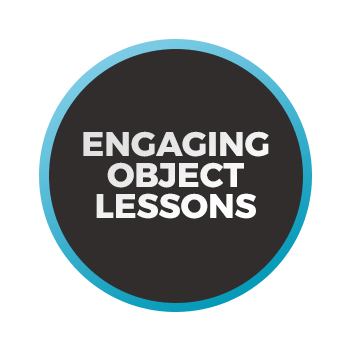 There’s no memorization needed – just familiarity – which means the rehearsals are streamlined, practical, and often hysterically fun! 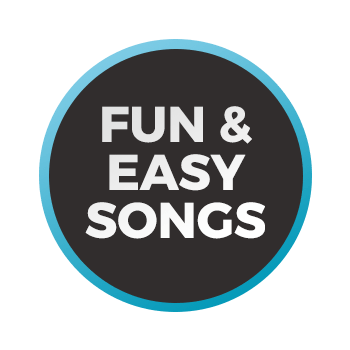 Three songs are part of the daily assemblies and all the songs are very easy to learn. They feature tunes everyone knows and loves. By the end of the week, kids will know these songs by heart and will probably be singing or humming them wherever they go. Plus, the music requires only the basic cords that are known by most guitar or piano players so they are very easy to perform. After opening assembly, kids will be sent off to classrooms for lessons sure to keep them on the edge of their chairs (or rugs). Lessons contain a discussion section but also parts that run more like Let’s Make a Deal! Lines like “Keep your pirate treasure, or sacrifice it for something greater,” will have kids wondering all week what comes next. Treasure hunts are included on Day 1 and Day 5, plus a scavenger hunt and money chase will be sure to take kids’ interest levels even higher. Don’t worry, these craft projects aren’t difficult – you won’t need to be a professional artist to make them or teach them. We believe that craft time is one of the few times in VBS where kids get to talk to each other (if the craft isn’t difficult), and this can be a great bonding experience. That’s why we’ve consciously included craft projects that are easy enough that kids can get to know each other while drawing, cutting, and applying glue. We’ve also included additional crafts for younger children on days when the craft for older children might be a bit too tough for their little fingers. 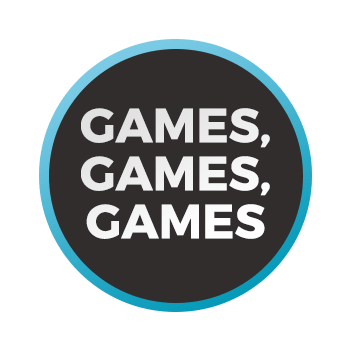 We’ve included both outdoor and indoor games. We’ve also included some “messy” games because we all know that sometimes kids just love to get messy. For example, in one game kids try to balance water containers on their feet while taking off their shoes and socks. But don’t worry, none of our “messy” games will require more than a mop and some paper towels to clean up if done inside. Tell kids to bring a towel for certain days, and have some extras on hand. Order The Great Treasure Hunt Now & Save! At last, you can get everything you need to stage a memorable and meaningful VBS in one simple, easy-to-use program. This program will save you hours and hours of planning and will make putting on a VBS much less stressful and much more fun. Plus, the kids who attend are ensured of having a great time! So, instead of a NEW program this year, we are offering last years program "The Great Treasure Hunt" at a blockbuster price. Last year, this program sold for $29.00. But this year, I want to encourage some of my customers who have had a "VBS Phobia" and give everyone an offer that's hard to pass up. So this week, you can "The Great Treasure Hunt", for just $9. That your kids learn about the saving grace of Jesus Christ and want to form a personal relationship with him! That your kids have the time of their lives by using fun, easy-to-do songs, games and crafts! That no child is ever bored the entire time they are at your church during VBS week! That you are able to put on a memorable and meaningful VBS WITHOUT working long hours or feeling tons of stress! That your teachers are able to engage and entertain both the younger kids and the older ones at the same time! That you have everything you need to have a successful VBS from the lessons to the songs to the crafts to the snacks and more! That kids who attend your VBS have a great time while learning all about God! 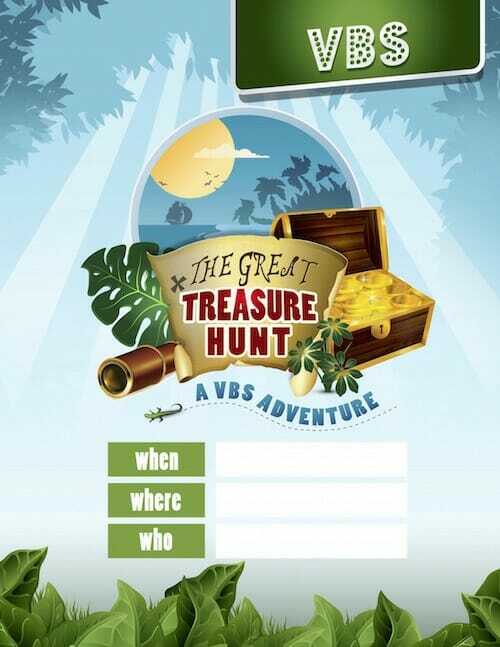 Use our printable 8.5 X 11 poster to publicize your "Great Treasure Hunt VBS" at your church! Print off as many copies as you need year after year! Simply fill in the blanks! As soon as your order is securely processed, we’ll direct you to a download area, where you can get instant access to the complete VBS package. You can print out the VBS material from your home computer! 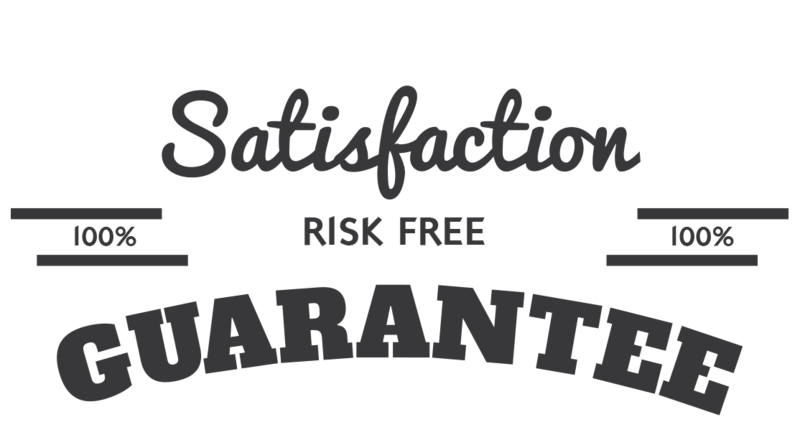 That’s right, we are so sure that you will love "The Great Treasure Hunt" that we are offering an unconditional 100% money-back guarantee. That’s TWO FULL MONTHS to put this fun turn-key VBS to the test! that I can use over & over again. Our VBS is geared for kids ages 4-11, we know that churches of all sizes & various age groups have successfully used The Great Treasure Hunt! The Great Treasure Hunt can be used by churches of all denominations, as the topics covered are truly basic to the Christian faith.